McAfee Endpoint Security is an updated version of McAfee's classic VirusScan software. This anti-virus software protects a user's machine using firewalls, anti-spyware, and intrusion prevention technologies that stop and remove malicious files, codes, and viruses. Faculty, Staff, & University Depts. : Please contact the UMIT Service Desk at (305) 284-6565 to have McAfee installed on your University owned computer. Students: Must be currently enrolled, for credit, and degree seeking. Use of the software is restricted to personal computer only. 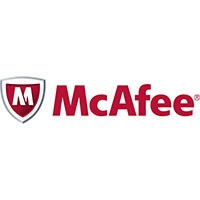 Faculty & Staff: Mcafee license covers personal computers owned by University Faculty/Staff free of charge. University Depts. Coral Gables/RSMAS/Medical: Licensed for University owned systems on campus, please contact (305) 284-6565 to have license installed on department machine. Students, Faculty & Staff: There is no cost to use this software.